There’s a magical mountain town waiting for you to discover it. 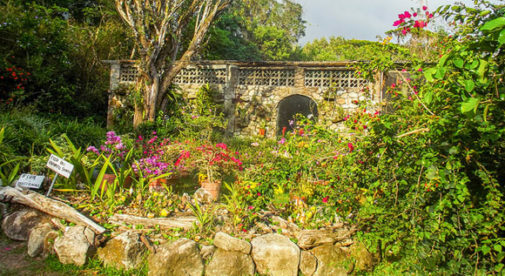 Located in Panama’s Cocle Province, El Valle de Anton is a special place to be. Its origins feel almost mythic: Hundreds of thousands of years ago, a volcano exploded, blowing itself out of existence and leaving behind a massive crater—a nice, flat expanse surrounded by mountains. Over time, the rich volcanic soil sprouted everything from fruit trees to ferns. It was the perfect place for a settlement. These days, this town feels like a well-kept secret because it’s not densely populated. 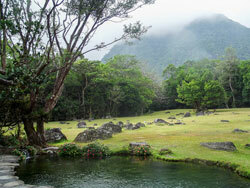 But El Valle has long been a favored weekend spot for Panamanians of means. An international community has also sprouted here. It’s not a huge one compared to Panama City…but it’s an active, friendly one. A few are retired, while some are business owners tapping into the tourist industry. El Valle gets a light but steady stream of visitors, so you’ll find little cafes and restaurants owned by Europeans, North Americans, and more. There’s high-speed internet, cable television, reliable power and water—everything one could possibly need. All of it comes at a reasonable price. Internet access starts at about $15 a month. $10 a month is plenty for water. All in all, figure $1,200 a month, not including rent or $1,500 for a couple, to live well here. $600 to $900 will rent you a comfortable, two- to three-bedroom house. The houses are pleasing to the eye, surrounded by pines or bright bougainvillea. Whether cottages or palatial weekend homes, they tend to have Alpine or cross-gabled roofs…perfect for this picturesque mountain hamlet. I’ve been living in Panama City for about 10 years now, and El Valle is my weekend destination of choice. Thanks to the elevation—about 2,000 feet—it’s about 10 degrees cooler than the capital city and the beaches that surround it. Misty rain and mountain breezes keep things velvety green. There are few cars; in El Valle, people tend to cycle. Nature lovers are especially drawn to its peaceful natural beauty. After 10 p.m. the streets are pretty quiet, but that doesn’t mean that El Valle is boring. If you enjoy life’s healthier pursuits, this is paradise. A big draw is the hot springs—a leftover from the volcano. The hot springs in El Valle are just one of the many natural splendors that nature lovers will adore in this region of Panama. We often hike together, as there are many mountain trails to follow and even waterfalls. When we’re feeling lazy, we can get massages or browse the local market for handicrafts, flowers, and plants. Occasionally I check out the tourist attractions. The zoo, the orchid farm, the ancient, undecipherable petroglyphs…I’ve seen them all before, but I never get bored of them. For anyone craving a change or variety, the expat hub of Coronado Beach is just 45 minutes away. You can shop at the new plazas, join in dozens of expat activities, visit the new hospital, or just go for a swim in the warm Pacific waters. In the evening, traffic often swings the other way. Coronado residents make their way to El Valle to sample its restaurants or salsa dance at Paraiso Restaurant. There are plenty of places in El Valle to get dinner or a drink and socialize with other expats and friendly Panamanians. I’ll admit…when work and other obligations pull me back to the big city, I have envious thoughts about those who live in El Valle full-time. Maybe someday I’ll become one of them. But for now, I don’t have to choose. It’s a hop, skip, and a jump from the cosmopolitan capital to my favorite mountain retreat.